After a rather cold March, April has finally brought with it some sunshine (and a couple of April showers of course). 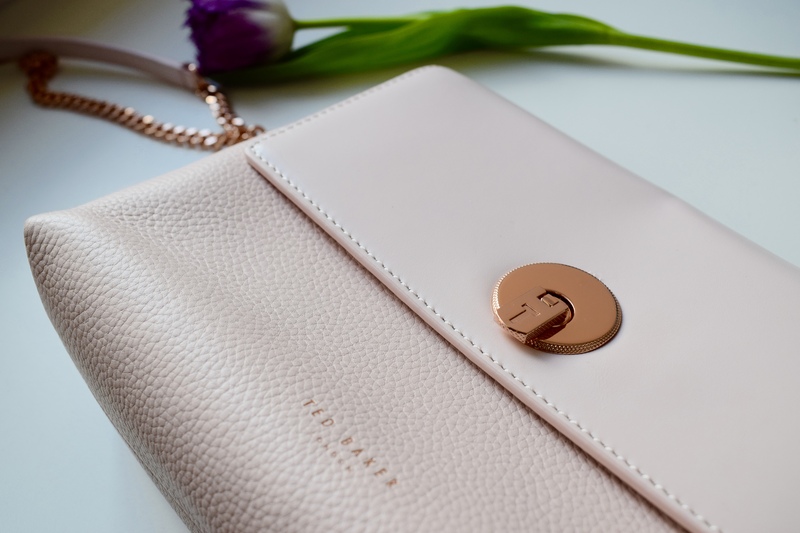 I have put together a selection of my favourite items to transition me into slightly warmer, brighter days accompanied by drinking Starbucks iced coffees in the sunshine and instagramming pictures of blossom #springishere! This bag is my new love this spring! It is also available in other colours, but I chose the ever-so-desirable baby pink which is EVERYWHERE this spring. The bag is made with textured leather and a smooth leather piece where the bag opens and closes. 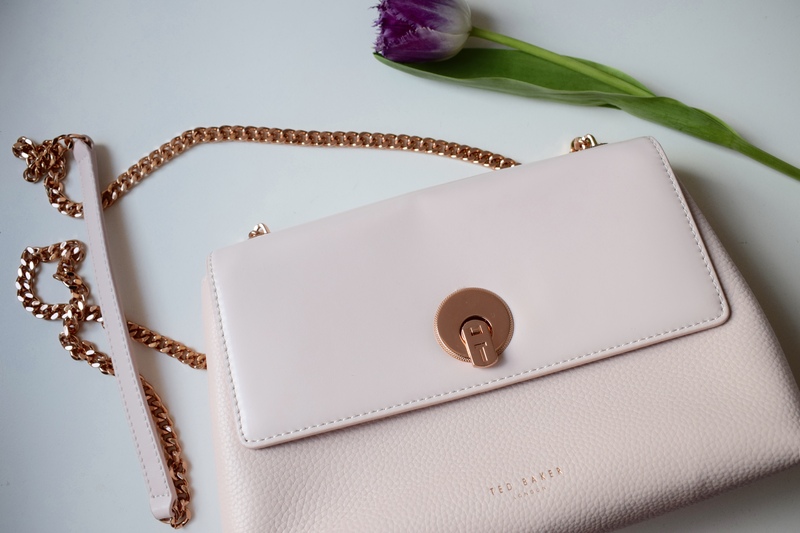 This cross body bag has rose gold hardware including a chain and a clasp which beautifully compliment the baby pink leather. 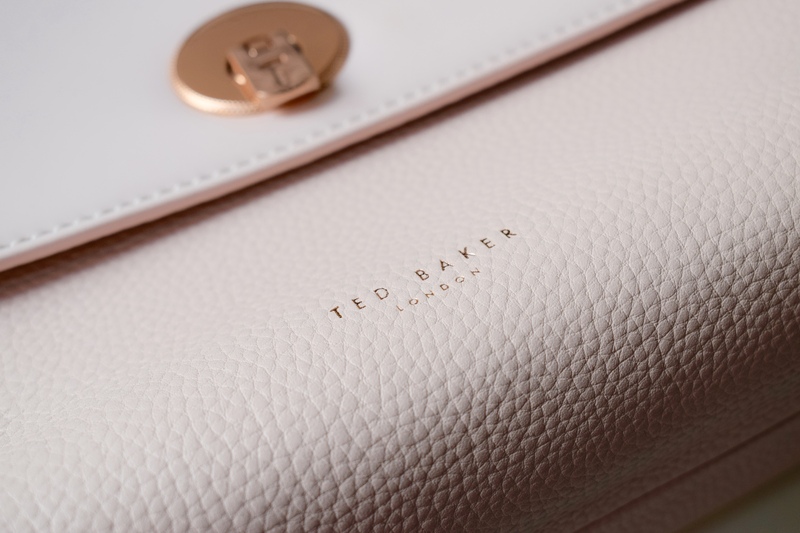 It is the perfect size to hold all your essentials (including my large Ted Baker purse which is a definitely a plus) and the sections inside are well organised so you won’t lose your phone or your favourite lippy! This would be perfect to wear during the day or with a more dressed up evening look. This gorgeous pink blush scented with vanilla and pink grapefruit (I don’t know about you, but when make-up smells nice, it’s even more appealing!). 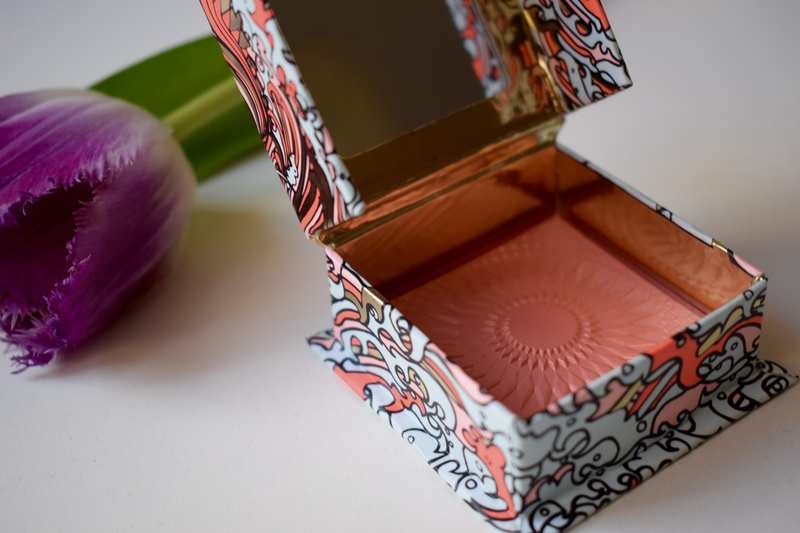 When you first open it, the blusher is topped with a gold shimmer. However, after using the blush just once, the top gold layer completely comes off (which was a shame aesthetically) but the gold shimmer still runs subtly through the blush giving your cheeks an almost rose gold flush when applied. The peach toned pink with highlighting shimmer makes it perfect for both paler and warmer skin tones. The shade can gently enhance paler skin tones, but the gold running through it works great with warmer skin tones or a bronzed make-up look which will look fab in the sunshine! This neutral pink shade with a pearly sheen, comes in a lustre finish. It is the perfect subtle shade to accompany pretty much any spring make-up look. It adds just a hint of pink (excuse the rhyme) and a subtle shine which will beautifully glow in the brighter days of April and May. 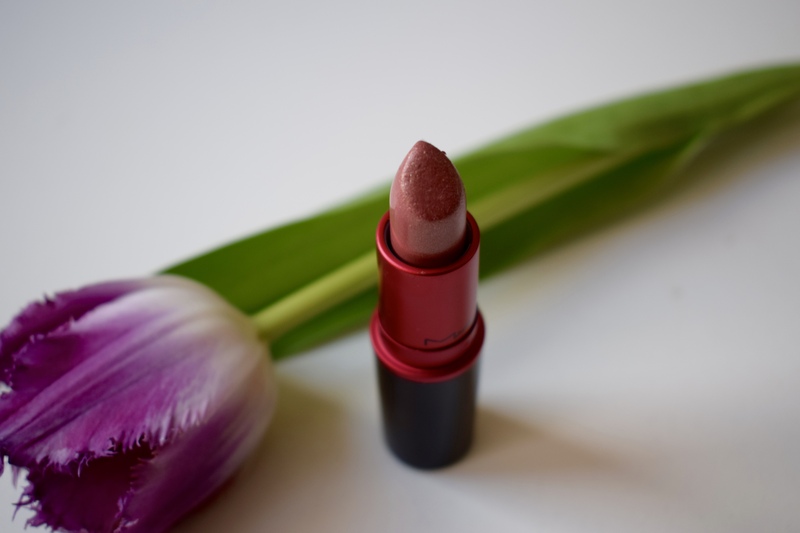 As it is a lustre finish, it won’t dry out your lips like a lot of the more famous MAC lipsticks and instead feels nice and light on the lips. The second British people see sunshine, we suddenly take off the tights and leave the jackets at home and then realise it is in fact only 13 degrees. Although we can now ditch the winter woolies and coats, we still need something to throw on during chillier days. 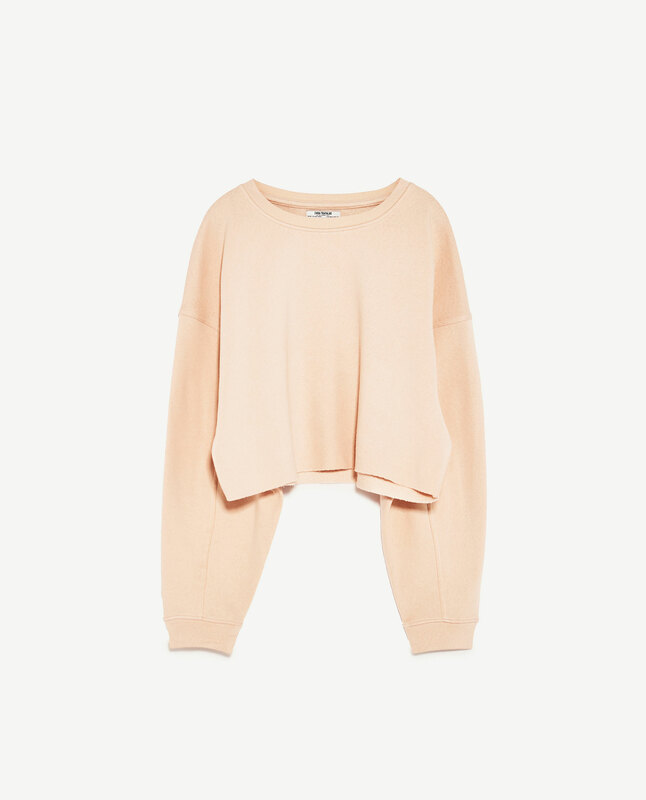 This sweatshirt from Zara is the perfect transitional piece for me. Sweatshirts are an ideal look for either lounging around the house, or popping out for a weekend brunch (my fav). This oversized design makes it perfectly cosy and casual. Oh, and did I mention… IT IS ONLY £12.99! This Kitchen and Oxford Street Exclusive is my go-to spring smell! Packed with rose absolute and rose oil as well geranium and Sicilian lemon this rich body spray is the epitome of warmer weather and sunnier days! Although it is a body spray, a few spritz really pack a punch and will last throughout the day. 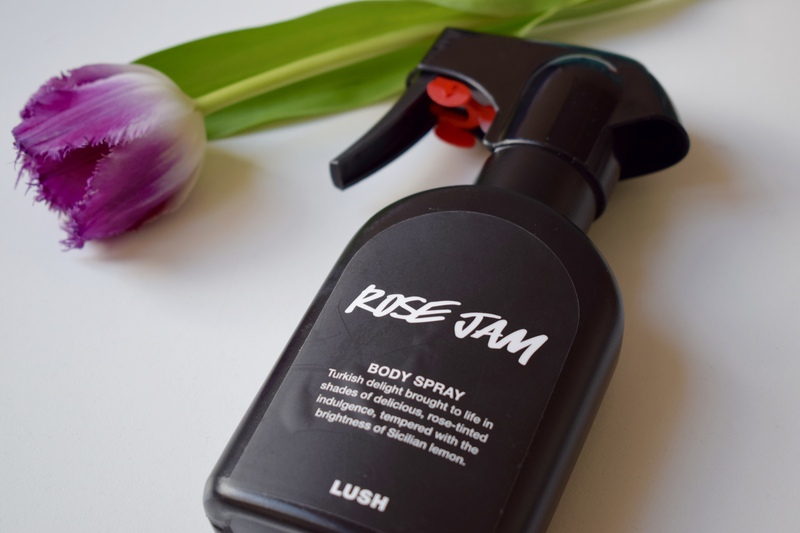 This is one of the new additions to the body spray collection at Lush and they are selling out FAST! Go and get your hands on them quickly! What are you loving this spring? !